Many researchers and clinicians have issues with keeping their whole blood or CSF samples viable over time. Whether the reason is because the collection occurred on a Friday afternoon with no lab analysis available until Monday, or collecting a large batch of samples to send out to the lab at the other end or the state, cellular degradation can be a problem. Don’t let this happen to you. Is Wnt3a an essential component in organoid culture? Organoids are self-organized three-dimensional tissue cultures that are derived from mammalian pluripotent or adult stem cells. These in-vitro-grown cell clusters are given possibilities to replicate much of the complexity of an organ. There are potentially as many types of organoids as there are different tissues and organs. To date, researchers have been able to prepare brain, kidney, lung, intestine, stomach, liver and many more are developing. LC3, a mammalian homologue of yeast ATG8, is a soluble protein that is distributed ubiquitously in mammalian tissues and cultured cells. 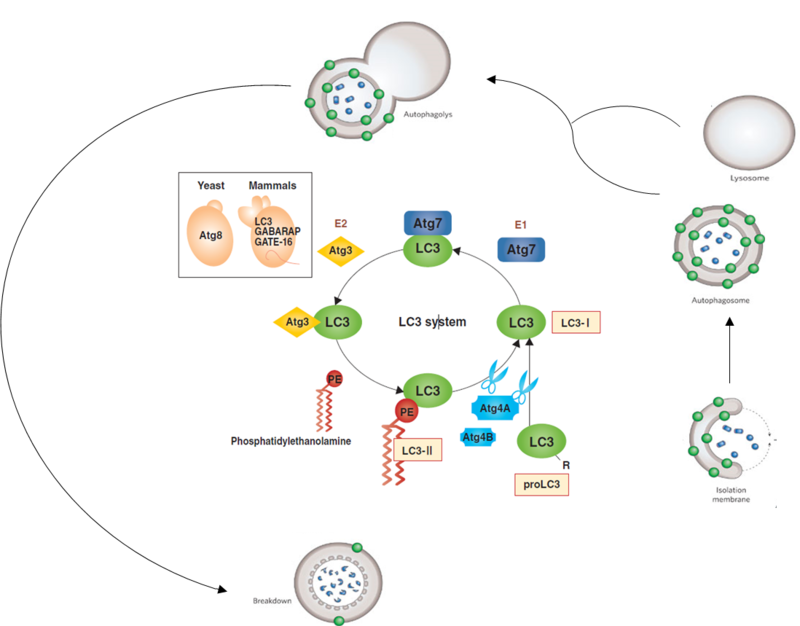 LC3 has been studied most extensively and is frequently used as an autophagy marker in mammals. Newly translated LC3 (proLC3) is immediately processed at the C-terminus in order to form LC3-I. During autophagy, autophagosomes engulf cytoplasmic components, including cytosolic proteins and organelles. Concomitantly, a cytosolic form of LC3 (LC3-I) is conjugated to phosphatidylethanolamine to form LC3-phosphatidylethanolamine conjugate (LC3-II), which is recruited to autophagosomal membranes. 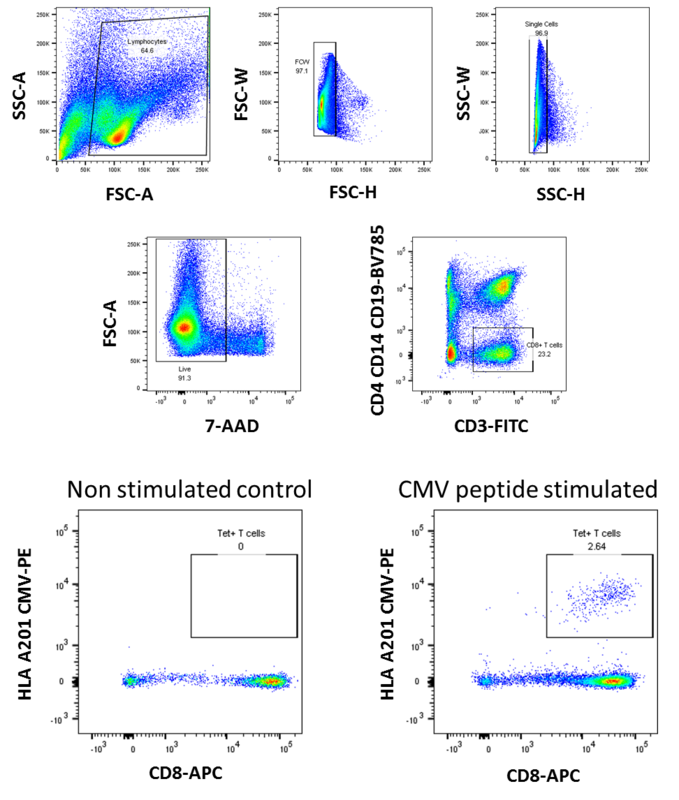 While MHC tetramer staining of antigen specific T cells for flow cytometry is considered highly specific, it could still be associated with non-specific staining. The gating strategy shown below is an example that investigators have used to reduce non-specific staining events using a dump channel. A dump channel can be planned on a case by case basis, on the experimental design, and consists of a pool of antibodies against cells that do not express our specific targets. For example, CD8+ T cells, anti-CD4/anti-CD14/anti-CD19 may be used to eliminate these immune cells from our targeted gate, and all may be labeled with the same fluorochrome. In 2008, the Nobel Prize in Chemistry was awarded to Dr. Roger Y. Tsien, Dr. Osamu Shimomura, and Dr. Martin Chalfie for their discovery and development of the green fluorescent protein (GFP). 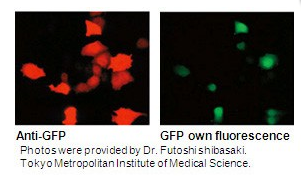 Since then, fluorescent protein (FP) technology has made drastic advancements by many researchers. 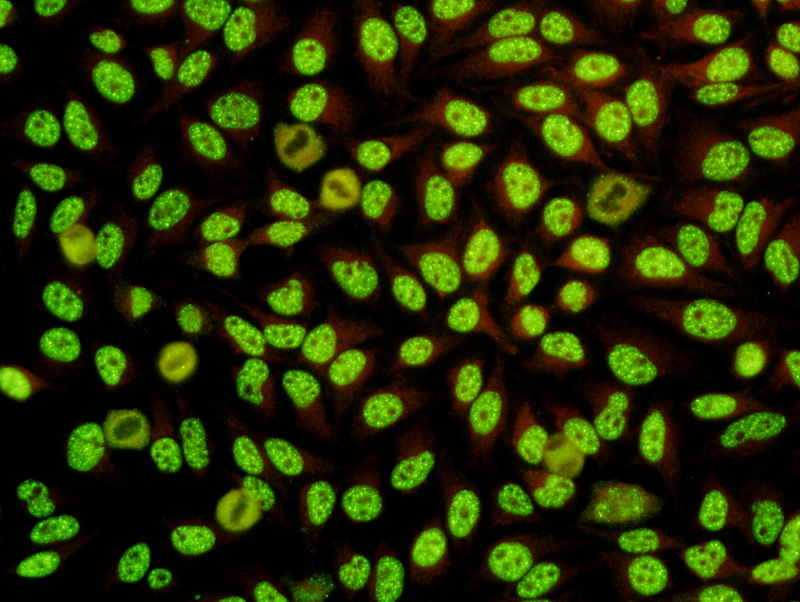 FP antibodies are used in multiple applications. Fc blockers are needed for monocytes, macrophages, B cells and granulocytes. Since T cells normally do not express Fc receptors, some investigators do not use Fc blockers and instead use a dump channel (e.g. 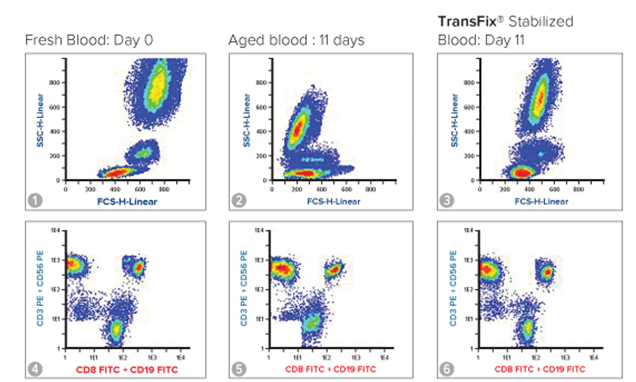 CD14/CD19) during flow cytometry analysis to exclude Fc-expressing populations. Which tetramers can be used for my mouse samples? The thymus shapes a host's T-cell repertoire so they do not respond to "self" antigens, yet are able to recognize "non-self" antigen challenges (from pathogens and tumors). T cell participation in these immune responses are dependent on interaction with peptide- and self-MHC. In other words, T cells only recognize the peptides derived from cancers or pathogens if they are embedded in the cleft of self host MHC grooves. 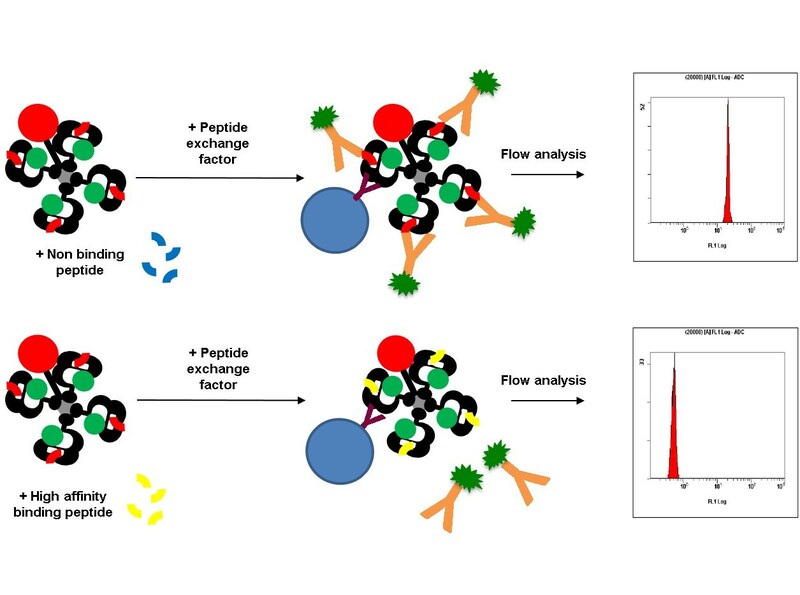 Such peptides are processed and presented on the surface of antigen-presenting cells (MHC class I and II in dendritic cells, macrophages, and B cells) or all nucleated cells (MHC class I) allowing T cells to identify infected or cancer cells. Direct detection of such Ag-specific T cells and functional analysis is important for understanding disease immunopathogenesis and the process of drug development.  MBL International has had tremendous success in advancing the methodologies to accurately measure antigen-specific T cells. 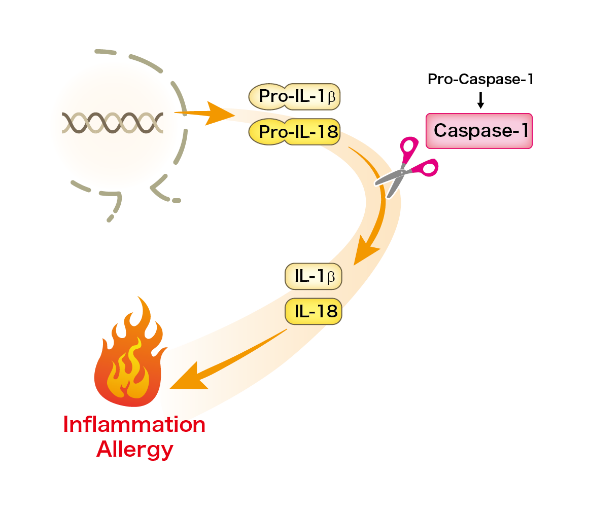 Interleukin-18 (IL-18) is a member of the IL-1 superfamily and synthesized as an inactive precursor that requires processing by caspase-1 to become an active cytokine. IL-18 plays a major role in the production of interferon-γ (IFN-γ) from T cells and natural killer cells. Refresh your memory by reviewing a couple of previous blog posts. Interleukin-18 (IL-18) is a member of the IL-1 superfamily and synthesized as an inactive precursor requiring processing by caspase-1 into an active cytokine. IL-18 plays a major role in the production of interferon-γ (IFNγ) from T cells and natural killer cells. Refresh your memory by reviewing a couple of previous blog posts. Biology can be daunting. Experiments can be daunting. Setting up your own biological experiments can be terrifying! But it doesn’t need to be. PCSK9 remains an important target in cholesterol research. One of the hurdles in this research area is determining which PSCK9 form is present and binding with LDLR. 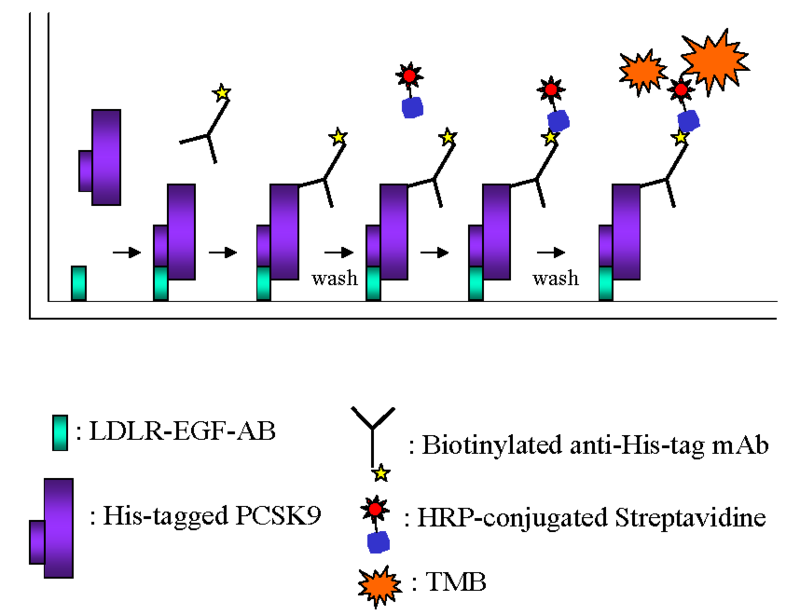 Our new Human PCSK9 Functional Assay Kit is designed to detect active PSCK9 binding with LDLR. 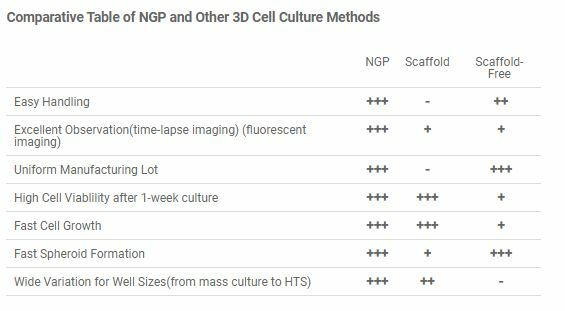 Can NanoCulture Plate (NCP) be a better 3D cell culture platform? Cell-based assays are the first step for drug screening applications and have been performed in monolayer culture condition for decades. These traditional cell cultures have been known to enhance integrin signals, which mask several biologic activities in tumor cells. In contrast, it is already known that 3D cell culture can replicate the intra-tumor microenvironment. Quick! Switch out your peptide! The immunotherapy field is making great progress in aiding many disease treatments. The hope is that one day, personalized immunotherapy can be used so each patient can use their own immune system to overcome their specific disease affliction. QuickSwitch is a tool for creating custom MHC class I tetramers quickly and easily. Antibodies for fluorescent proteins: Will it cross react with my variant? 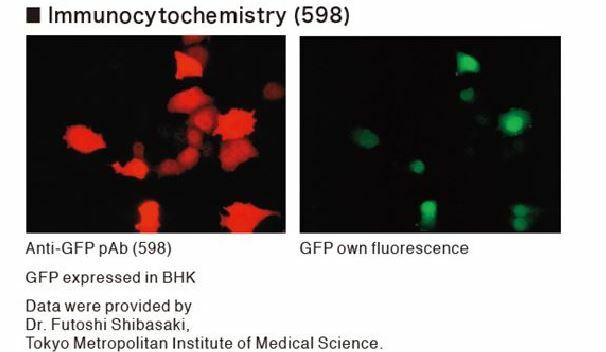 Green fluorescent protein (GFP) was first isolated by Dr. Osamu Shimomura in 1961. Since then, fluorescent protein (FP) technology has made drastic advancements by many researchers. Currently, FP technology is the most popular tool for visualizing target proteins. Dr. Shimomura, Martin Chalfie and Roger Y. Tsien won the 2008 Nobel Prize in Chemistry to mark their great achievements in life science research. Have you heard of the S100 protein family? S100 refers to proteins that are 100% soluble in saturated ammonium sulfate solution. They were first discovered as a major protein fraction (0.6% of total soluble proteins) isolated from bovine brain by B.W. Moore in 1965. Mechanisms and detection methods of p62/SQSTM1 and its importance in the autophagy pathway. The ubiquitin-conjugating protein p62/SQSTM1 is thought to be a scaffold protein that interacts with a variety of molecules involved in toll-like receptor (TLR) signaling, such as TRAF6, ERK, and aPKC. Recent evidence suggests that p62 binds directly to the autophagosome marker LC3 and is then selectively degraded by autophagy. p62 contains multiple phosphorylation sites. Sequential phosphorylation of these sites regulates biological defense mechanisms such as selective autophagy and the Keap1-Nrf2 system. Therefore, the failure of the p62 pathway is associated with various diseases such as cancer and many neurodegenerative diseases. To learn more about the mechanisms of p62, please refer to our whitepaper written by Drs. Masaaki Komatsu and Yoshinobu Ichimura, Niigata University. They are leading researchers in Autophagy, especially p62 and Keap1-Nrf2 interaction. Dr. Komatsu was recognized as one of the most highly cited researchers in Autophagy in 2014 and 2015 by Clarivate Analytics. How do you detect p62 or phospho-p62 using antibodies? Western blotting? Immunohistochemistry? Quantification of biomarkers is essential for medical and diagnostic application. Selective autophagy and Keap1-Nrf2 are already being discussed for their use as a diagnostic as well as other medical applications. MBL International has developed new sandwich ELISA kits that can semi-quantify total p62 and its phosphorylation level at Ser403 and Ser349. Phospho-p62 ELISA kits are the first kits to quantify these markers by ELISA in the world research market. It is a chance to get a new discovery in the Autophagy area! 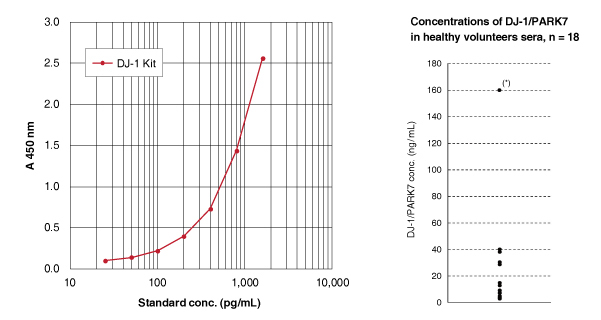 These kits can help you to prepare cell lysate easily including cell lysis buffers. Phosphatase inhibitor solution is also included in the phosho-p62 kits. They can be used for human and mouse samples. Immuno-oncology is a growing field in which different strategies such as immune modulators, vaccines and adoptive cell therapies are applied for new immunotherapies. Cancer vaccine immunogenicity and stability are two important parameters in vaccine development. In addition, vaccine immunogenicity implies accurate enumeration of antigen specific T-cells. 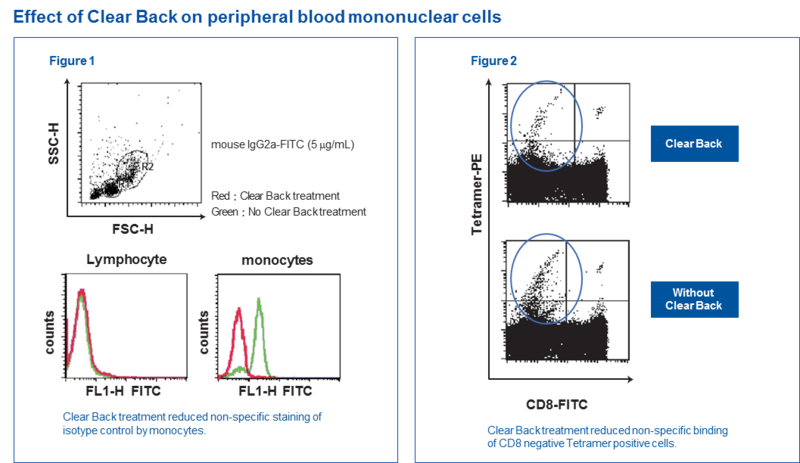 MHC tetramers can help monitor peptide vaccine immunogenicity and stability. Ultracentrifugation is regarded as the gold standard method for exosome isolation. The ultracentrifugation process is time consuming and may introduce protein and nucleic acid contamination. Pre-clearing samples by one or more low speed centrifugation steps will deplete the cells, platelets, and large apoptotic bodies. Larger extracellular vesicles can be pelleted at forces between 10000-20000 x g. Smaller extracellular vesicles can be pelleted at higher speeds, ranging from 100000-200000 x g. Depending on the protocol, it can take up to 24 hours to isolate exosomes by ultracentrifugation. It is impossible to achieve absolute separation due to potential contamination of proteins and nucleic acids. Living organisms on the earth synchronize their activity to a 24 hour light and dark cycle generated by the rotation of the earth. This biological rhythm is called the circadian rhythm. Recently the molecular mechanism for the oscillation of the circadian rhythm has been elucidated and the approximately 24-hour-rhythm was found to be generated by a transcription-translation feedback-loop of clock genes expressed by almost all cells. In particular, BMAL1, CLOCK, PERs and CRYs play key roles in oscillation of the circadian rhythm and rhythmically regulate the expression of downstream genes (hereinafter referred to as clock-controlled genes [CCGs]). So far, the expression analysis of CCGs is mainly performed by mRNA quantification, like qRT-PCR and in situ hybridization. However, it is necessary to analyze protein expression level, post-translational modifications like phosphorylation, and ubiquitination for understanding the molecular mechanism of circadian rhythm. Actually, phosphorylation and ubiquitination of PER and ubiquitination of CRY are well known. Why are these protein expression analyses not well done? The answer is very simple: because there weren't any good antibodies in this market, so we developed antibodies against CCGs. At first we developed antibodies against PER1/2, CRY1/2, BMAL1 and CLOCK, playing core feedback loop in circadian rhythm. BMAL1 and CLOCK form a heterodimer, which binds to the regulatory region (E-box) in per1/2 and cry1/2 to positively regulate transcription. PER and CRY proteins then form a complex, migrate to the nucleus, and negatively regulate the function of the BMAL1/CLOCK complex. 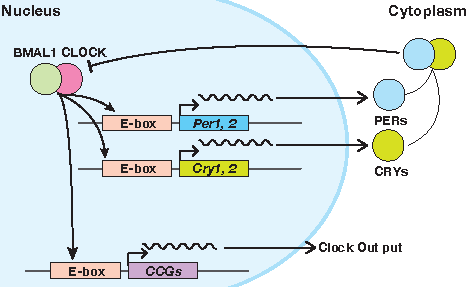 CCGs with E-box elements are expressed and are regulated by the BMAL1/CLOCK complex, and various genes are expressed according to circadian rhythm. We successfully developed antibodies against all of the core feedback loop members. Anti-PER1, PER2, BMAL1 and CLOCK can be used in Immunohistochemistry (IHC), and anti-BMAL1 and CLOCK can be used for Chromatin Immunoprecipitation (ChIP) assays as well. Please be careful to choose secondary antibodies because some of the products are derived from guinea pig! 3D cell culture innovation ensures that time spent at the bench will correlate to in vivo environments, with possibilities to aid in future discoveries such as drug delivery into tumor cells or understanding tissue microenvironment. 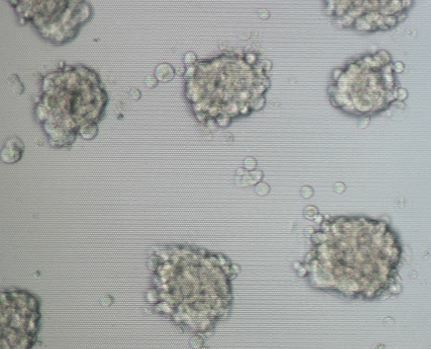 Typically, a researcher use a conventional 2D cell culture technique but are limited to what observations they can truly make. 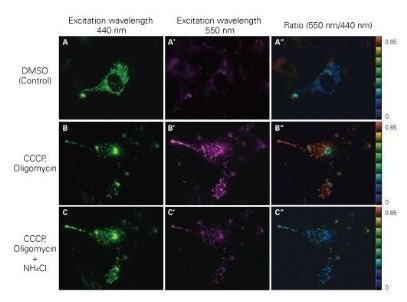 NanoCulture Plate 3D platform has been designed to facilitate researchers’ time in the lab. Do your samples break down before you can analyze them? 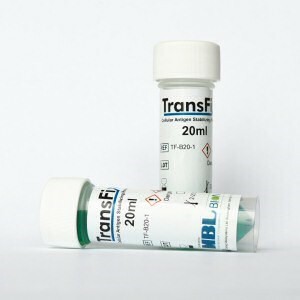 TransFix is an easy and effective method to stabilize cellular antigens. Exosomes are cell-derived vesicles originating from multi-vesicular bodies and found in biological fluids such as blood, saliva, urine, and breast milk. Sizes of these extracellular vesicles (EVs) range between 30-100 nm. Due to their capacity to transfer proteins, lipids and nucleic acids, exosomes can influence various physiological and pathological functions (Yañez-Mo et al., 2015). 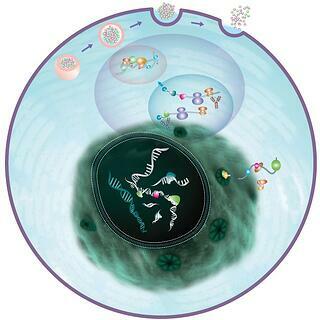 Exosomes play a key role in cell-cell communication and circulate in bloodstream, and therefore, are implicated as a disease biomarker for cancer and immune system disorders. However, there is limited information regarding efficient methods for obtaining pure exosomes. 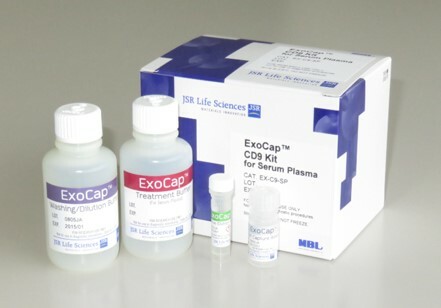 MBL offers a unique exosome purification kit that can help researchers purify exosomes from their sample. Learn about MBL's QC process for providing high quality antibodies! 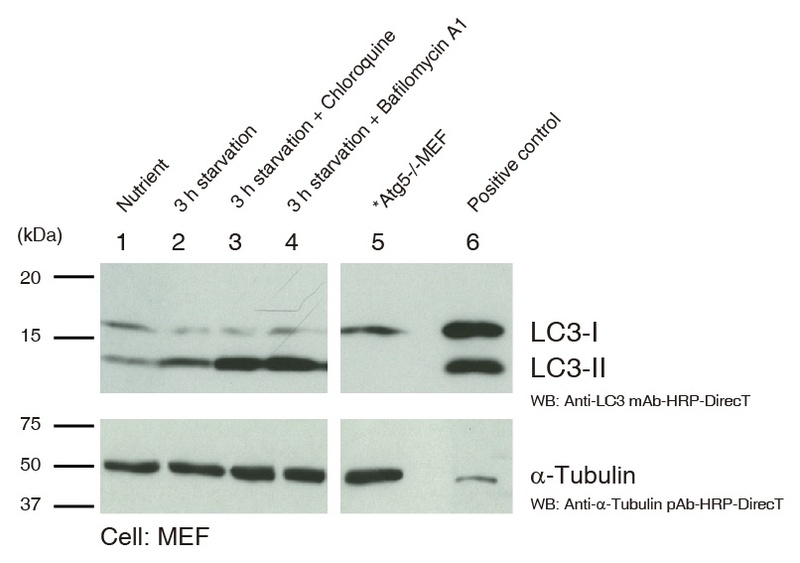 The path that an MBL antibody takes to go from development and manufacturing to the benchtop is intensive and rigorous. This meticulous attention to detail ensures that every vial a researcher uses maintains high quality and reliability. Here, we briefly describe the process. As 2016 draws to a close, let’s look back on some significant advances made in science. The process of autophagy was first recognized in the late 1950s and it was thought of as bulk “junk” removal. Then, dedicated scientists did a little more digging and found there is an amazing methodology to the “junk” removal. It was discovered that there is rhyme and reason for how a cell decides if and when its components should undergo degradation. Autophagy is rather specific and aids in cell survival by making sure the cell has essential components during times of flux. Autophagy can be selective (i.e. mitophagy) or non-selective (i.e. starvation-induced). Using this method, the cell can have non-essential components recycled or send them to onto autophagolysosomes to be degraded. It is more efficient for a cell to be able to recycle as much as it can, rather than to wait for new proteins to come into the picture. 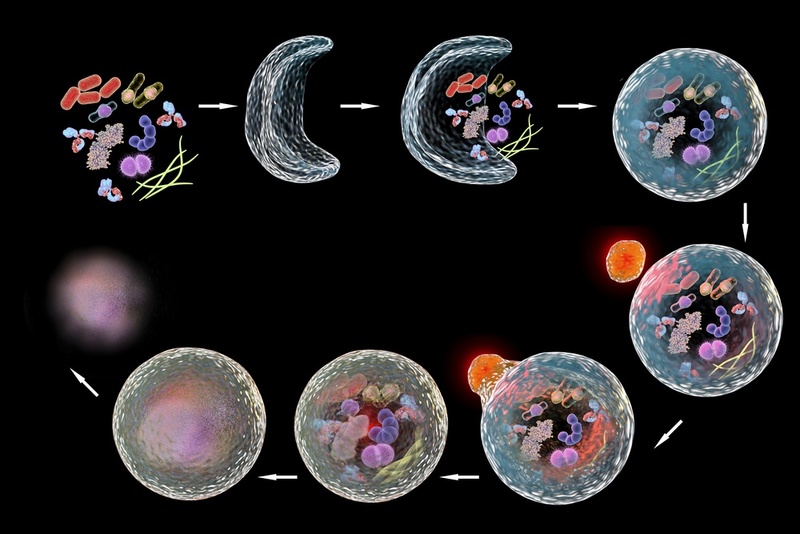 Autophagy is also crucial for clearing out “junk” such as misfolded or aggregated proteins. Research in autophagy has helped provide a better understanding for how a cell is able to survive even under poor conditions. What does mitochondria have to do with mitophagy? What is mitophagy? It is when damaged mitochondria are removed from the cell by autophagy. The damaged mitochondria end up in lysosomes for their final disposal. This whole process is to maintain and assure proper cellular function. The importance of this biological process is that it has been implicated in disease states such as cancer and Parkinson’s disease. Don't be fooled. Not all tetramers are created equal! 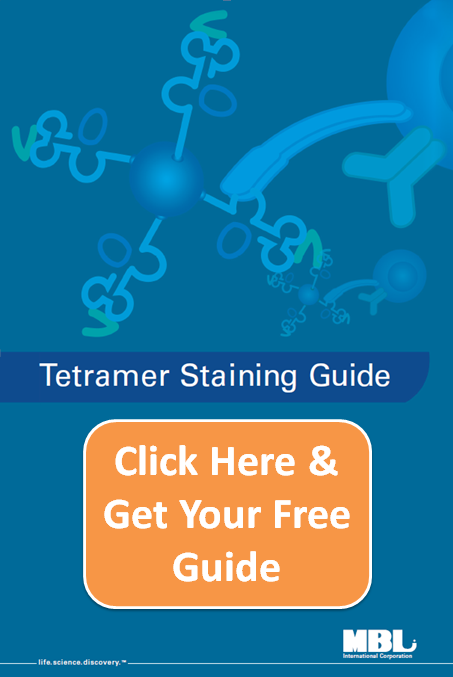 Have you seen comparisons of multimer technology claiming to be superior to tetramers? Be sure to ask which tetramers were used in the comparison! 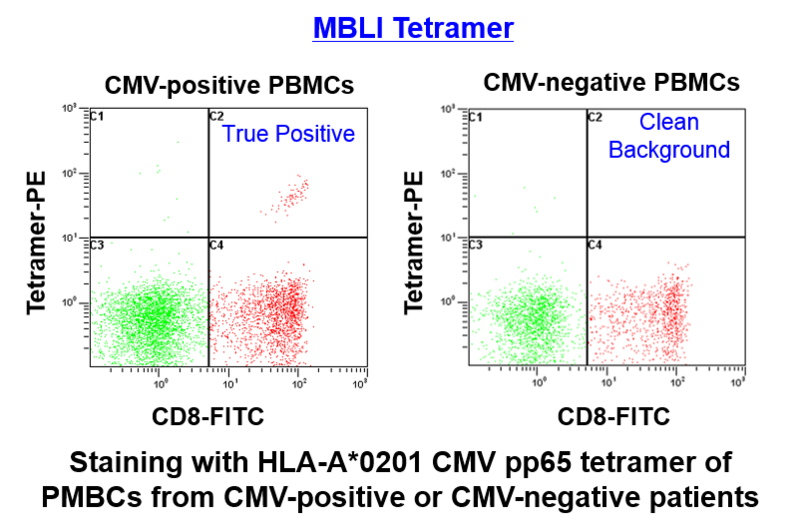 MBL tetramers have a clear advantage over academic tetramers and other commercial MHC multimer products, not only due to the reliability and high quality for every lot produced, but also due to the proprietary alpha-3 mutation. This mutation, engineered into the heavy chain of all of our human and macaque class I tetramers, helps decrease non-specific binding, leading to enhanced specificity. Check out the images below to see the details of this important technology! How to choose the right vector for your fluorescent protein needs! MBL’s CoralHue fluorescent product series is composed of many proteins to make your life "brighter"! We offer expression vectors and cloning vectors. How do you know which vector to use? Learn more about how to choose which vector is right for you. When you start working in a new lab or working on a new research project, one of the first things to do is look up publications and learn about the field and what has been accomplished. This will help determine the experiments you will run. It gives you a foundation to build on. But how do you read a publication? How do you know it’s worth your while to muster through? Some publications are miles long with a million figures! EEKS! Don’t be frightened. Keep reading to find out how to tackle a complicated publication and not go crazy. Who’s that on my mRNA? You have an RNA of interest aka your favorite RNA. The question is: which RBPs interact with it? Who are these RBPs and what are their intentions with your precious RNA? Don’t rip your hair out- use our RIP certified antibodies! What are RBPs (RNA binding proteins)? Very briefly, they are proteins that bind to RNA. (You probably figured that out already.) More importantly, they have a role in regulating RNA as part of the ribonucleoprotein complex (RNP). They are involved in interactions that regulate posttranscriptional gene regulation1. Not only are RBPs important because of their interactions, but also because it was found that mutations in RBPs can lead to disease formation 2, 3, 4. 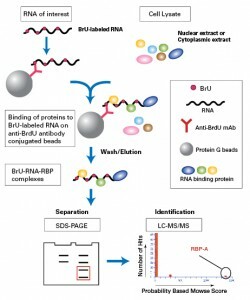 In order to investigate which RBPs bind with RNAs, a technique called RNP immunoprecipitation (RIP) can be used5. And in order to have an amazing RIP experiment, one needs an equally amazing antibody. Improve your RNA research using our anti-BrdU antibody! How do you quantify newly synthesized RNA? 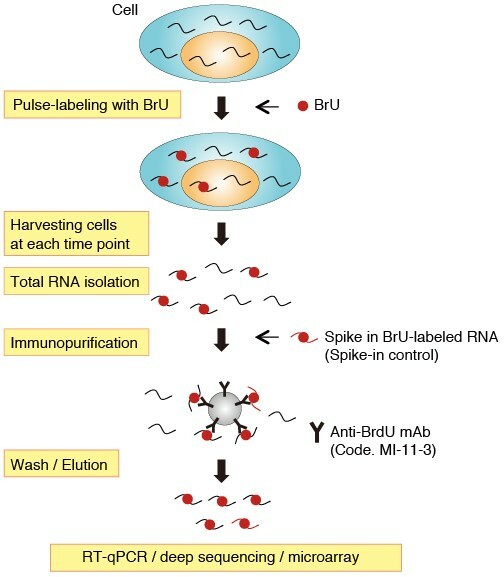 There are several ways to detect synthesized RNA, but these methods can be inaccurate due to toxicity. Don't FRET- You've got Fluoppi! Visualizing protein-protein interaction (PPI) is pretty neat. You are able to glimpse into a really unique aspect of nature that many people don’t get to see. It’s like watching lions and zebras interact but without the bloody violence. However, anyone who has tried to visualize two proteins interacting can attest to how difficult it can be. It can involve long hours, uncertainty, and of course, photo bleaching. Blech! MBL’s new technology, Fluoppi, makes visualizing protein-protein interaction a little easier. This technology utilizes fluorescent tags that have a high signal:noise ratio. 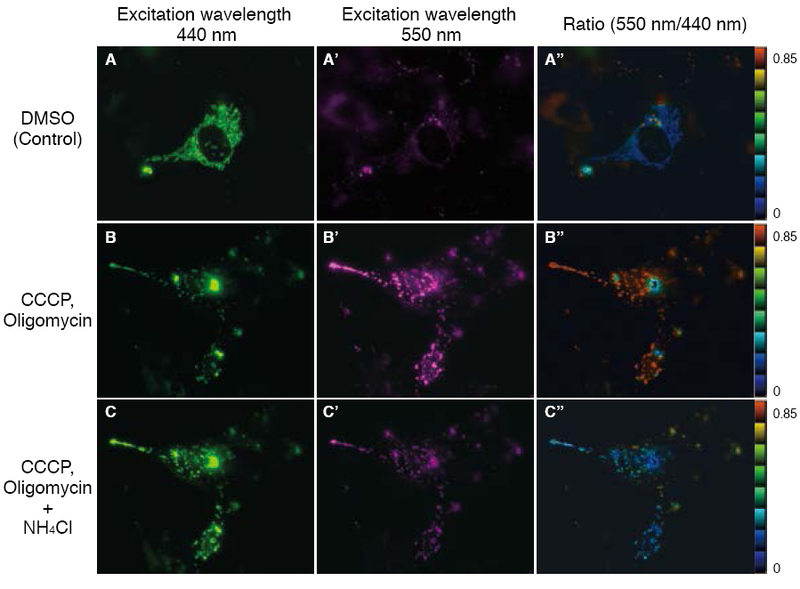 The only equipment you need is a microscope to observe fluorescence. What happens when you use a black well plate for a fluorometric ELISA assay reading? What happens when you use a clear well plate for a colorimetric ELISA assay reading? Well the short answer is that you made the right plate decision! Help! My mouse tetramer stained ALL the CD8+ T cells! You’re sitting at your flow cytometer, staring at your CD8 x tetramer plot in anticipation of a tiny but meaningful group of dots appearing in the upper right quadrant. You hold your breath, click “acquire,” and watch… Wait, what? What’s this ugly diagonal?? How come ALL the CD8 positives are dual positive??! Hey, this is my control mouse! That one should be completely tetramer negative! Yep, I’ve been there too. 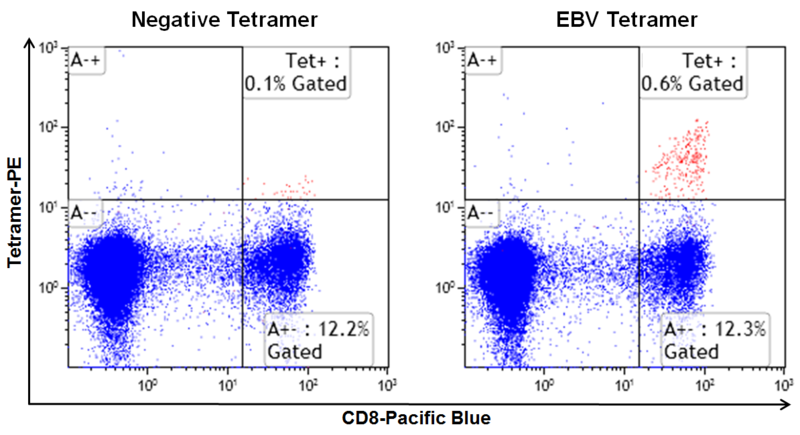 Classic case of using a CD8 antibody that doesn’t play nice with tetramers. 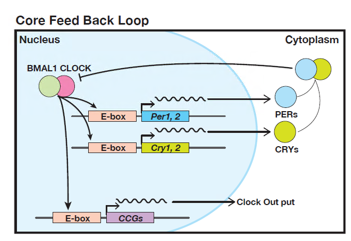 Figure: Schematic representation of feedback loop involving CLOCK-BMAL1 complex and CRY and PER proteins involved in creating circadian rhythms. Tiredness and frustration often mount after long nights in the lab. Why can’t our bodies adjust and allow us to maintain our energy through the night? The answer lies in our circadian rhythms. Circadian rhythms are the daily cycle of biological processes such as wakefulness and metabolism1. Many proteins are involved in regulating our circadian rhythms including CRY proteins. This blog post will catch you up on these proteins and their vital role in regulating circadian rhythms. Autophagy Watch...What the Flux is that all about? 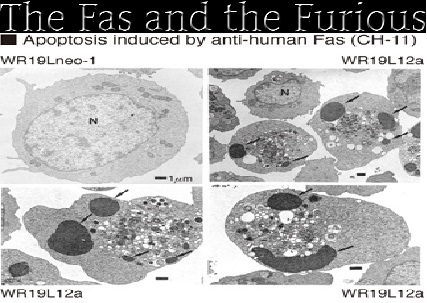 What does Autophagy Flux even mean? It’s not in the Urban dictionary. Dear reader, you have come to the right place to learn a little more about autophagy flux and how our Autophagy Watch kit can help you. 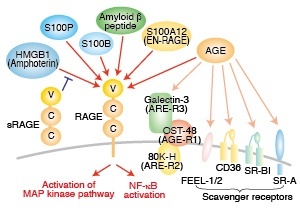 Figure: Schematic representation of S100 proteins in the MAP kinase and NF-kappaB pathways. S100 proteins are a family of proteins known for their role in a variety of cellular pathways and diseases. This blog post will catch you up on the latest research on these important proteins. 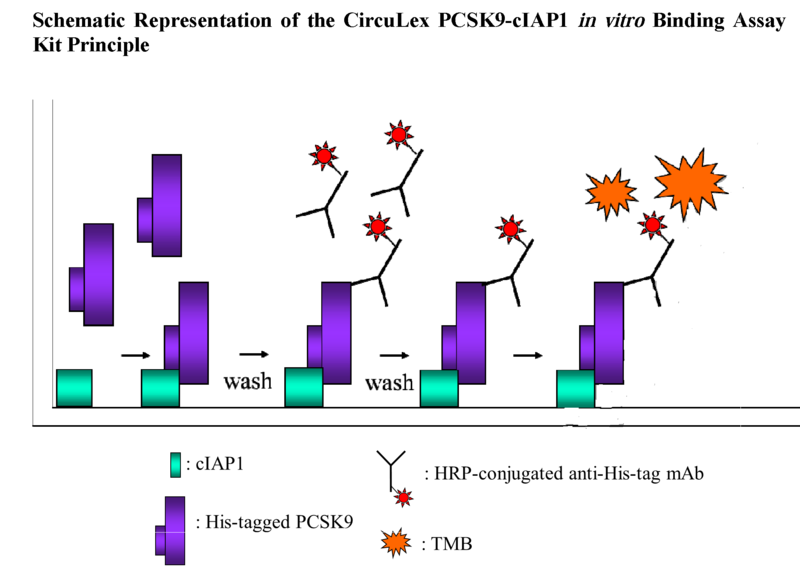 Figure: Schematic representation of PCSK-cIAP1 Binding Assay Kit which can be used to screen inhibitors of PCSK9-cIAP1 interaction during apoptosis. As discussed in two prior blog posts, PCSK9 has primarily been studied for its role in regulating cholesterol levels and as a target for treatments to lower cholesterol. 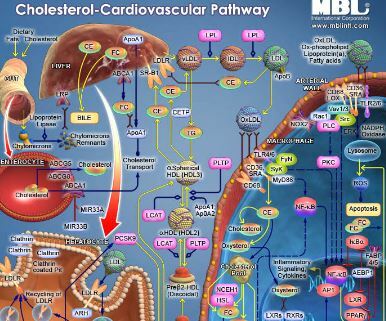 However, PCSK9 has been found to be involved in many other important pathways. 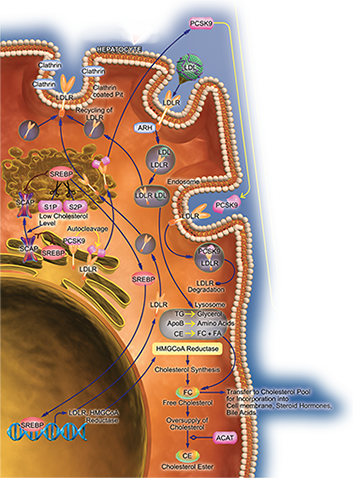 This blog post will catch you up on the latest research into the diverse functions of PCSK9. Ever wonder how cholesterol levels are regulated? One of the major regulators is a molecule called proprotein convertase subtilisin/kexin type 9 or PCSK9 for short! 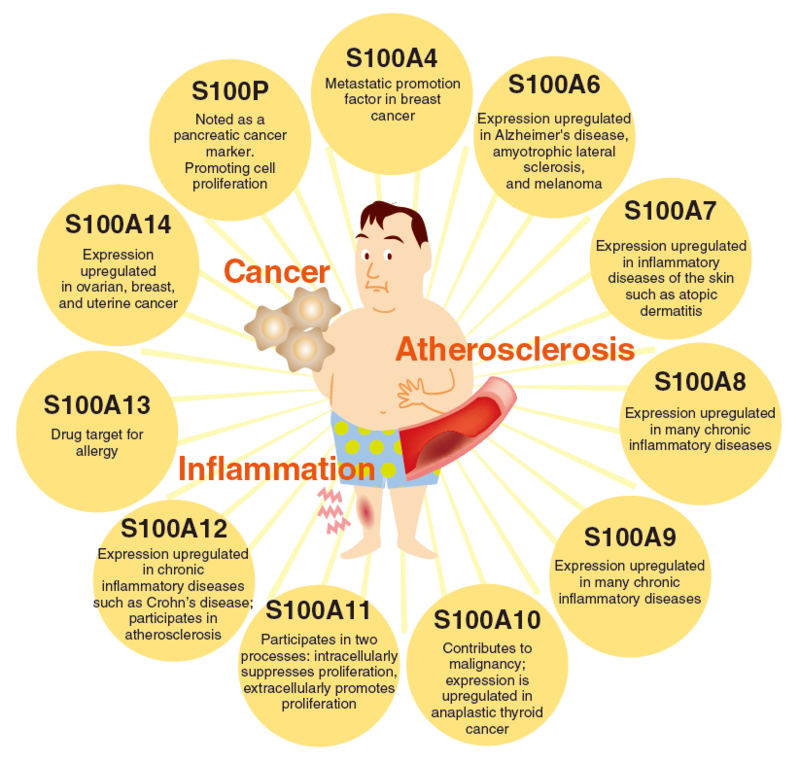 PCSK9 has been implicated in causing hypercholesterolemia (high cholesterol), and diseases such as coronary heart disease1. This blog post will get you caught up on cholesterol and research on PCSK9's role in cholesterol regulation. You have been given the mission to start a new project. A tiny tube is put in your hands and you’re told it contains a potentially interesting protein and your job is to characterize it. After you wipe nervous sweat from your brow, you get down to business. Step one- how to isolate your new buddy? Immunoprecipitation can help with this question! You determine which epitope tag is on your protein and go to mblintl.com to see what you can buy to help this new adventure. You see there are antibodies conjugated to magnetic beads, which help protein pull downs from cell lysates. It's easy, it's fast. Hmmmm- promising. In the previous Tetramer Tips blog, I suggested ways for you to be a negative Control Freak. Now it’s time to think positive! A positive control for a tetramer is a sample that contains cells expressing the specific T cell receptor of interest, i.e. has the exact specificity of the tetramer. Okay, brace yourselves; I’m going to be frank here. Having a positive control for tetramer experiments is often a quest for the Holy Grail. In many (most, in fact) cases, you will not have access to a positive control, unless one of your experimental samples happens to show a positive result. In an experiment where no positive events are seen and no positive control was used, you cannot necessarily conclude that the donor/patient/mouse is negative for that T cell specificity, because, heck, maybe you got distracted while pipetting and forgot to add the tetramer to your staining cocktail! A tetramer experiment with no positive control and no positives in the experimentals is, therefore, uninterpretable. This is the hard truth we must face. What are LC3 isoforms all about? What do they do? How are they different? How are they involved in autophagy? Antibodies are produced in abundance by the human immune system. The white blood cells are responsible for their manufacture, including lymphocytes (T-cells and B-cells) and antigen presenting cells. Their job is to produce a coordinated response to foreign substances (antigens) as well as to destroy harmful pathogens such as bacteria and viruses. The human body contains vast numbers and varieties of normal and essential human proteins called autoantigens. In some situations the body’s immune system makes an error and recognizes the normally occurring autoantigens as “foreign,” binding to them in order to destroy and eliminate them from the body. A specific subset of antibodies that attack normal proteins found in the nucleus of the cell are called, not surprisingly, antinuclear antibodies, or “ANAs” for short. These misguided antibodies direct their attack against the cell’s nucleic acids and sometimes their associated proteins which are found in or near the nucleus of the cell. Elevated levels of ANAs have been associated with various rheumatic diseases including systemic lupus erythematosus (SLE), rheumatoid arthritis, Sjögren's syndrome, scleroderma, polymyositis, dermatomyositis and various other systemic autoimmune diseases. Visiting Experimental Biology 2015 in Boston? While being a Control Freak may not be the best choice for living in spiritual harmony, it is a downright asset in flow cytometry research! Controls not only help you set up an experiment to get a clear or “true” answer, they can also help you troubleshoot what may have gone wrong when your data just doesn’t look quite right, so that your next attempt will turn out better. In flow cytometry, controls are critical to help determine “real” events from artifacts. So, what should you use as controls in tetramer experiments? 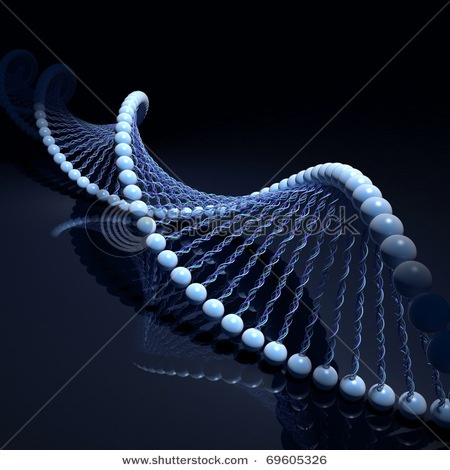 PARK genes are associated with Parkinson's Disease. The cause of Parkinson's Disease is not currently known and the progression of the disease (on a molecular level) is not well established. Human UCHL1 ELISA Kit and Mouse UCHL1 ELISA Kit has the ability to specifically detect UCHL1. Mitophagy is the selective degradation of old or depolarized mitochondria by autophagy, mitophogy contributes to maintaining a healthy population of mitochondria. Since damaged mitochondria leads to collapsed cell homeostasis, mitophagy is believed to protect against diseases related to mitochondrial dysfunction such as neurodegenerative disorders, most importantly Parkinson's Disease. Inflammation is regulated by small glycoproteins called cytokines. Cytokines are cell signaling proteins in the immune response pathway1. Il-18 is a cytokine that primarily facilitates Th1-type immunoreactions by acting on T cells. Why bother knowing if you are detecting Pro-IL18 or active IL-18? Antibodies are wonderful. They can act as little detectives to help you determine if the protein you’re interested in is involved in a certain process or help characterize the function. But what if your favorite protein has two forms? 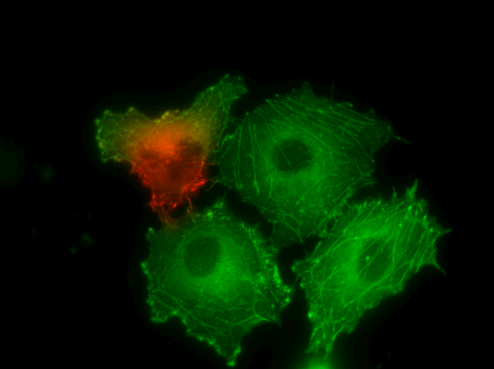 Is your antibody sophisticated enough to be able to detect one form over the other? Does this knowledge help you? How? IL-18 is one such protein that has two forms. It is present when it is inactive and present when it is active. So what is known about IL-18 and its function and the two forms it can exist in?